Constructed with handpicked PU leather material to give you in-and-out genuine garment feels. Feel like a hero and act dramatic as the same way Chris Pratt does as being Star Lord because it’s almost exactly the same get-up outfit as Star Lord. Clipped with a few ringlets and clamped in with studs, you will get the magical space effect of the Galaxy Guardians instantly when you put on this Guardians of the Galaxy Star Lord Jacket. 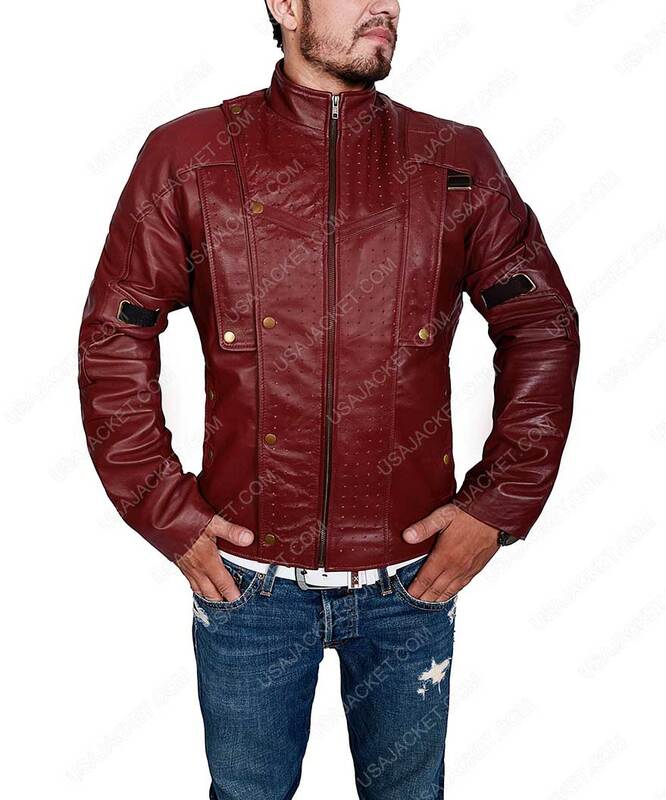 This jacket is beautifully constructed to give boys and young men the most astonishing appeals as GotG Star Lord. A few specs notable to talk about include – stand collar, zipper conclusion, leather pieces attached on sleeves, open hem cuffs. 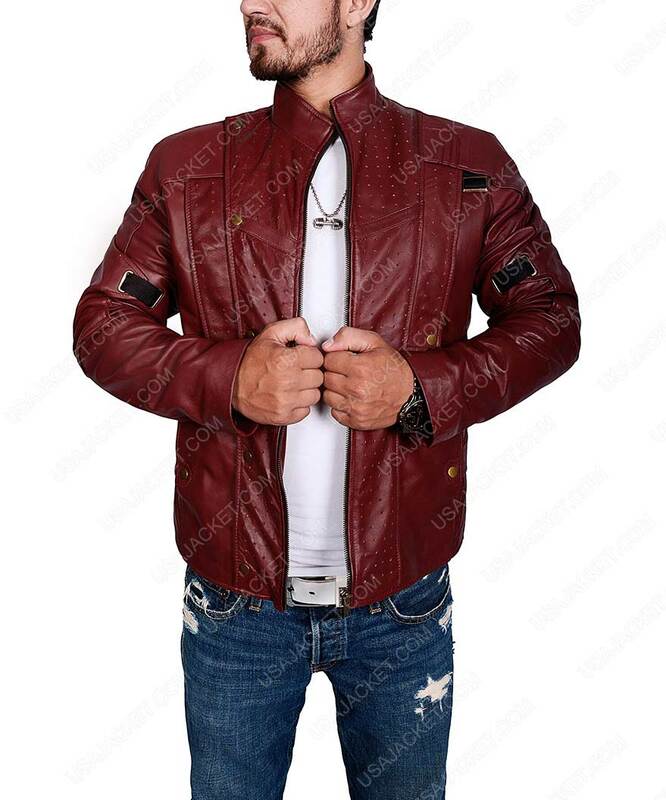 Last but not the least, made on thorough long-lasting standards to let you don up this Star Lord Guardians of the Galaxy Vol 2 Jacket with years long enthusiasm. Now you could accurately passion up your personality with this charming synthetic leather outfit culturing extra-terrestrial aspects of Chris Pratt’s Star Lord Character integrity. This suit is totally authentic showing nothing but pure splendidness. It was a gift for my boyfriend and he really liked my gift though. The material and the detailed style of the coat is nice. HE’s I think 5’10 or 6ft tall and weight around 180 lbs. he usually wear medium and I ordered same for him. The coat was a bit loose around the chest like he usually wear a snug fitted. He was looking cool wearing it. The color is a mixture of maroon and red shade. 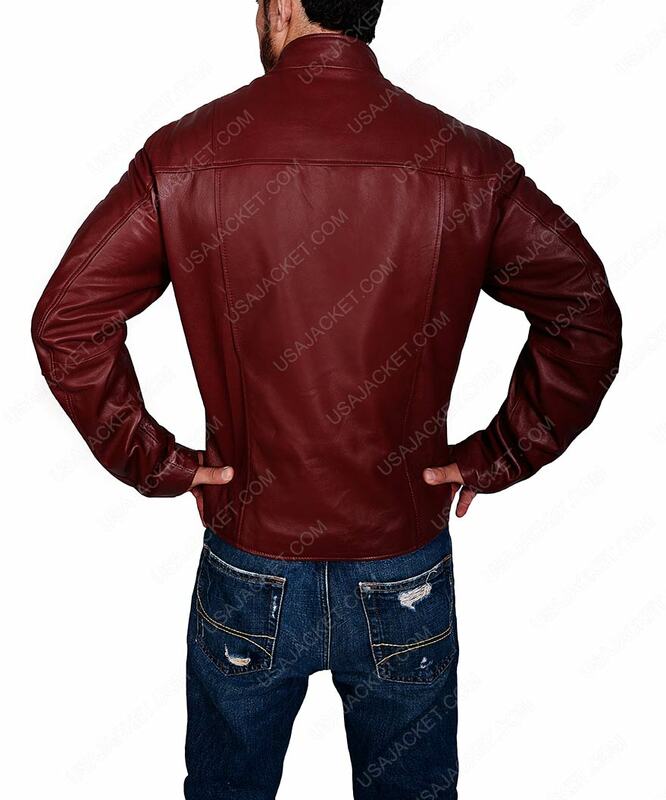 Overall, pretty nice jacket and the customer team helped well throughout the shipping process. Before purchasing the jacket, I was a bit hesitating because I don’t know what will I receive. However, everything turned to right side in the end. The fitting is good. I’m a tall guy with long arms but slender frame. I was in a doubt between medium and large. Before placing the order, I contacted the team USA and they sent me a detailed chart that I compared with the jacket I already have. The measurements almost matches and that made a easy call for me. The jacket just arrived within a week after purchase. 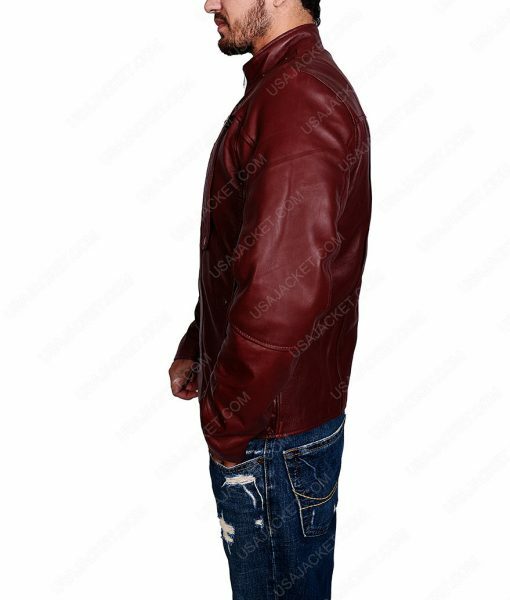 The fitting is good and looks a quality made jacket.